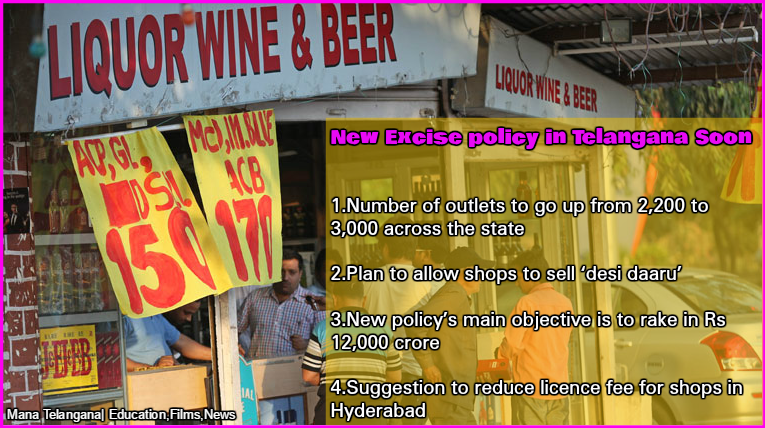 The draft policy prepared by the Excise department suggested government to increase the number of wine shops particularly in towns and major gram panchayats where the liquor consumption increased by almost 50 per cent when compared to the municipal corporations and other major cities in the state. The officials explained in the draft policy that increasing the number of licensed shops would not only help to curb the illegal sale of spirits through belt shops ( illegal outlets) in the villages and towns but also contain the sale of ID ( Illicitly Distilled) liquor and NDPL ( Non Duty Paid Liquor) being smuggled from neighbouring states in the border districts resulting a loss of Rs 100 crore revenue every month. 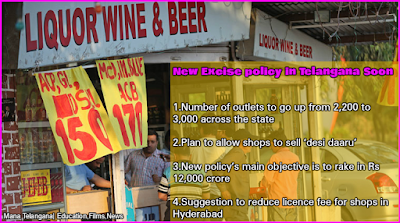 Under the new Excise policy which begins from July 1, the department also proposed to increase the term of the licensed liquor outlets to two years from one year. The officials suggested to reduce the license fee in Hyderabad where Rs 90 lakh has been levied as fee to run each shop. Owing to exorbitant fee structure, as many as 60 shops have not been auctioned in the city last year. The draft policy has been sent to the Chief Minister’s Office (CMO) which already done a study and approved the policy with minor amendments. A final decision on the implementation would be taken by the Chief Minister K Chandrasekhar Rao in 10 days .